The full drum sheet music for “I Got You (I Feel Good)” by James Brown from the album I Got You (1965). Melvin Parker brings the funk with this up-tempo, can’t-sit-still drum part (145 bpm). 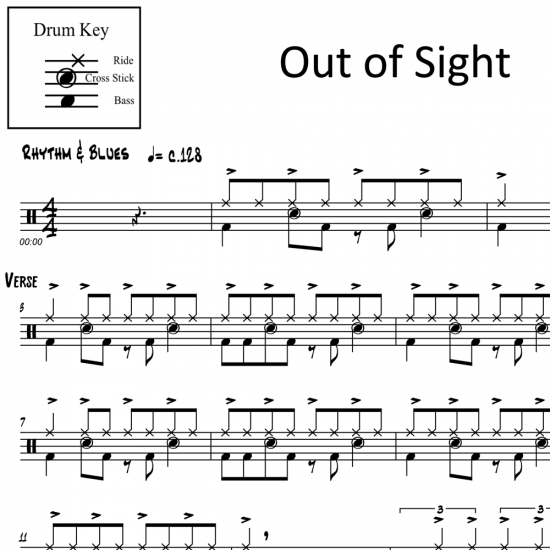 With a number of well-placed open hi-hats to accent the syncopated beat and slick sixteenth-note fills, this sheet will heat up your drum room. 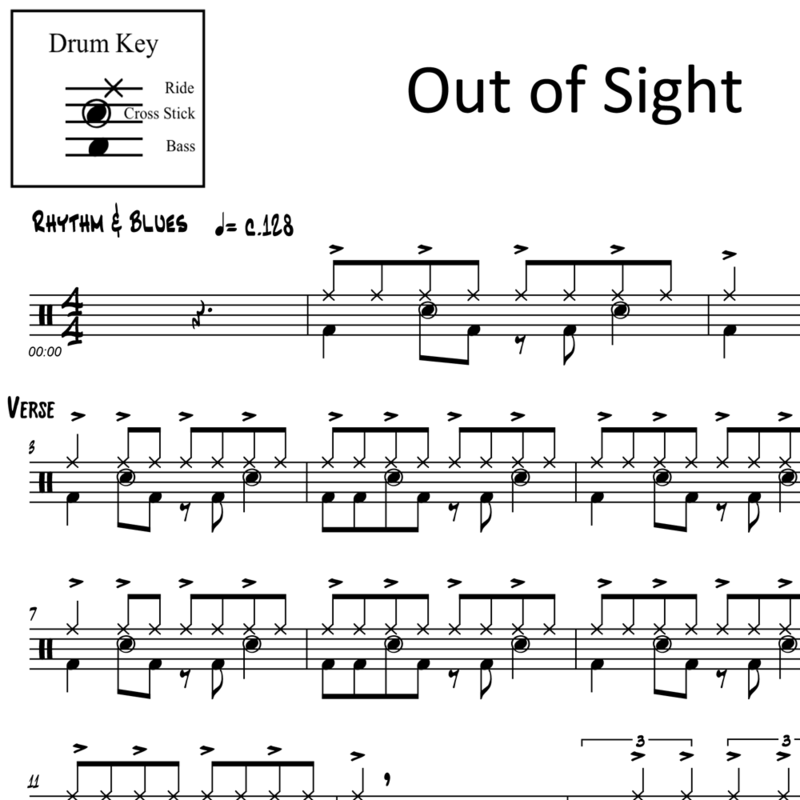 The full drum sheet music for "Out of Sight" by James Brown from the album Out of Sight (1964).